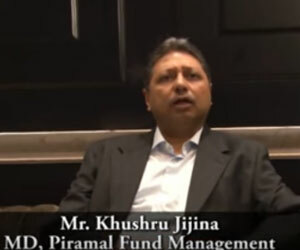 EKTA world, real estate developers in mumbai was established in 1987. Contemporary in thinking and design, EKTA has grown brick by brick while making many happy homes along the way. The team at EKTA world is constantly working towards creating memorable real estate projects complete with 2BHK, 3BHK and 4BHK flats in Mumbai and other cities in Maharashtra. & HOME . . .
and allows its work to speak for itself! through passion and innovation . . .
EKTA World balances simplicity and opulence across all its spaces by creating an environment that appeals to the senses, imagination and lifestyle of our customers across diverse segments. Additionally, giving equal importance to initiatives that are aimed to create better living conditions for the lesser-privileged sections of society. WE INNOVATE, WE ACHIEVE WE'RE EKTA WORLD! Our Chairman, Ashok Mohanani articulates his philosophy in a simple line . . . 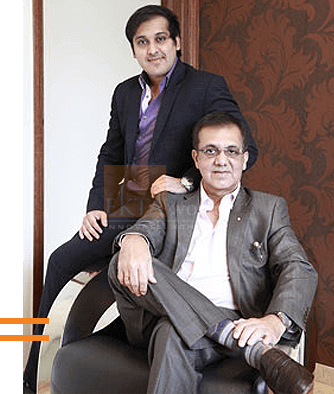 Taking the tradition forward, Ashok Mohanani is assisted by his son Vivek Mohanani, MD & CEO, who over sees the entire operations. The management team promises to strive to develop the most desired realty brand & ensure happy residents for today and forever. To achieve this goal, the team follows the best industry practices, excellent management systems and latest in building technology. It aims to offer innovative and world-class realty solutions to all its occupants. The team and the group’s constant endeavour is to create iconic real estate projects with 2BHK, 3BHK and 4BHK flats and at present they are working on new residential complexes in some of the most sought after locations in Mumbai like Chembur, Virar, Thane and Goregoan. Each project is crafted to give its inhabitant the extra level of comfort through the well - thought, well-designed, vaastu compliant homes. The idea is to present you with nothing but the best and offer you all the goodness in life. 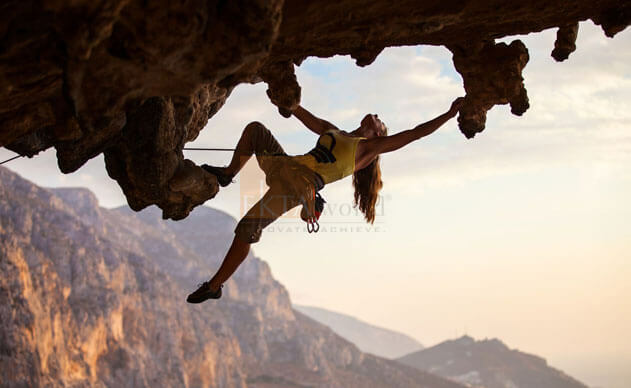 trust come . . . Live the world with us! Ekta World awarded with “people’s choice award” by CREDIA MCHI at 1st Golden Pillar Real Estate awards. Ekta Tripolis gets awarded as Best Residential Property under luxury segment by Realty Quarters. award 2016 for best practices in csr. At EKTA world since its inception had multiple CRS initiatives. We have a dedicated CSR division that caters to these initiatives under the brand name of Samraksha. Members of the H-West Federation organised marathon called 'MUSTRun' over 5000 people participate in fourth edition. EKTA world presents you the most melodious ghazal festival were several fabulous voices come together. 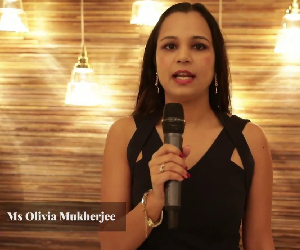 The founders and team at EKTA world believe in giving back to the society. ADAPT, formerly The Spastics Society of India, was founded by Dr Mithu Alur in 1972. We also offer homes that come with warmth and affection! 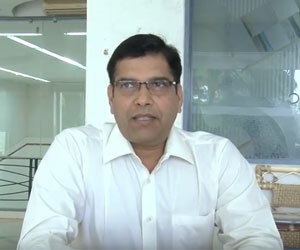 Ekta group is aware that there are many rural pockets in the country. 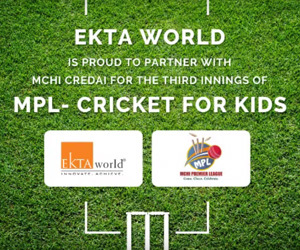 Ekta World is a proud CSR sponsor of the MCHI Premier League! The cricket tournament features teams for real estate companies whose members are the little ones of the construction employees. Take a look at some of the moments from the event. Ekta World Celebrates National Girl Child Day, 2017. 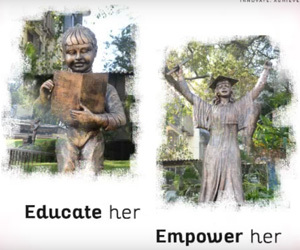 To celebrate National Girl Child Day, the BMC Commissioner, Ajoy Mehta, today inaugurated 'Island' – a tribute to the achievements of the daughters of India. Also present at the inauguration was our Jt. 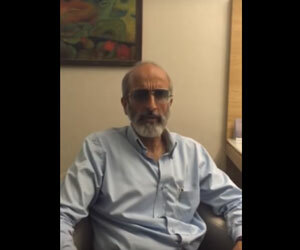 MD Mr.Vivek Mohanani. EKTA world is proud to be a part of the Shraddha Rehabilitation Foundation family. A Centre for Mentally Ill and Roadside destitutes. Ekta World is proud to associate with Advitya. 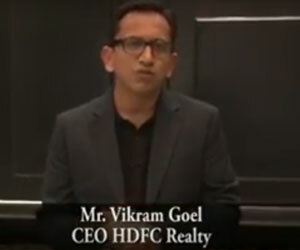 Mr. Vikram Goel, CEO, HDFC Realty. 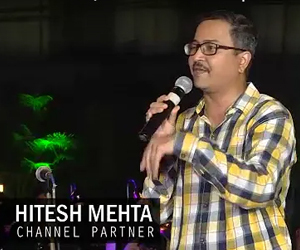 EKTA World's resident Mr. Sanjay Ghosh, speaking of his experience. 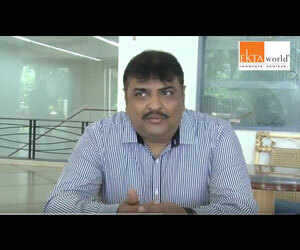 Mr. Jaimin Patel speaks about his wonderful journey at EKTA WORLD. Our association with Ekta World goes back to 1988 & from the first day itself I could see Mr. Ashok Mohanani’s drive to the excellent work. Our association with Ekta World goes back to 1988 and from the first day itself I could see Mr. Ashok Mohanani’s drive to the excellent work. Ekta World has created numerous landmarks not just in Mumbai ButNashik& Pune as well. The secret behind the wide acceptance and appreciation of their homes is a question Mr. Ashok Mohanani often asks himself “Can we stay in the house we create?" Over a journey of 25 years, Ekta World has consolidated its position as one of the finest builders in the country and I congratulate Ashok &Vivek on this great milestone for Ekta World. I have worked with several real estate developers and my experience with Ekta World has been a package of complete satisfaction. I have worked with several real estate developers and my experience with Ekta World has been a package of complete satisfaction. 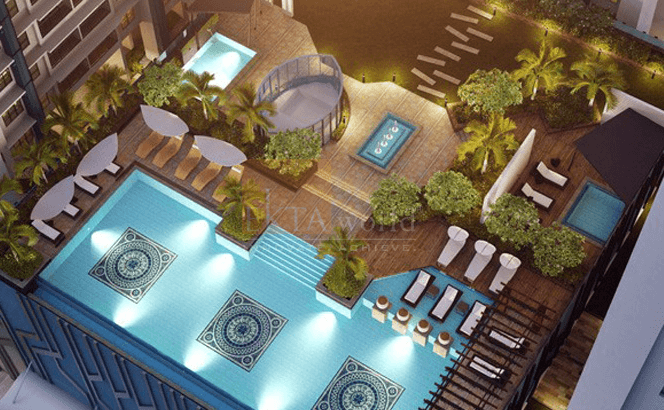 The promoters of Ekta World work really hard to get the best out of you in terms of designs and then show just as much dedication and commitment to execute the same designs on site without any compromise, to utmost perfection. I have seen Ekta World growing and maturing as an organization, a transformation that is the result of their sheer will to think, do and achieve. We have partnered Ekta World on a number of their projects over the last 8 years and have witnessed their transformation. 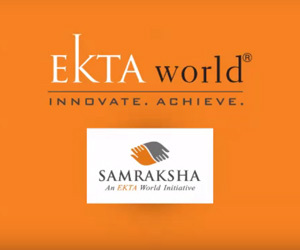 . .
We have partnered Ekta World on a number of their projects over the last 8 years and have witnessed their transformation from a builder of quality apartments to the creator of quality environments. As an industry leader Ekta World is one of the India’s premier builders dedicated to developing green buildings, healthy and sustainable living environments. Ekta World’s commitment to delivering excellence and quality is admirable, as its keen understanding of customer preferences. Ekta World’s commitment to delivering excellence and quality is admirable, as its keen understanding of customer preferences. SUN-APOLLO has always partnered with passionate entrepreneurs with long term vision and Mr.Mohanani epitomizes the spirit of entrepreneurship. We congratulate Ekta World on completing 25 successful years and hope the next 25 years will bring them even bigger success. I’ve seen Ekta World transition through different stages of a corporate life cycle. As an organization, it has touched both ends of the spectrum very beautifully. A quality product combined with timely delivery has established the organization’s brand equity. As brand custodians of Ekta World, we have enjoyed opportunities to create media innovations that have taken Ekta World beyond the limits of traditional brand building. Happy Birthday Ashok & all at the Ekta World. Ekta World symbolizes excellence in the field of realty and has set a very high benchmark in terms of dedication, innovation and commitment. Ashok Mohanani&VivekMohananihave demonstrated exceptional conceptualization and implementation capabilities, ahead of the times. We cherished our association with the group and take pride in being part of their vision. On this momentous occasion, we wish them grand success in their future ventures. CCO – Hungama Digital Media Entertainment Pvt. 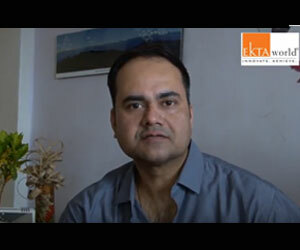 Ltd.
"My search for an apartment came to an end when I visited EKTA WORLD." 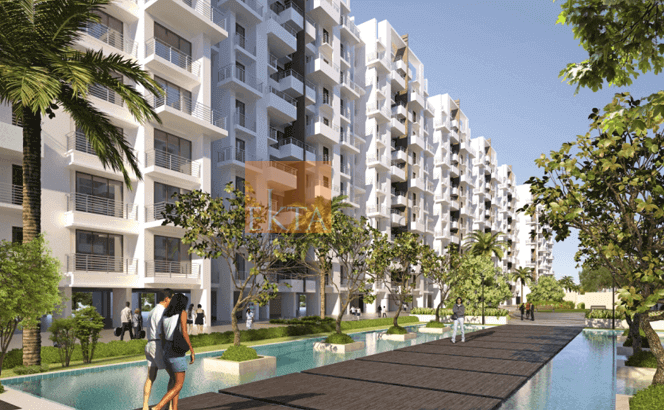 My search for an apartment came to an end when I visited EKTA WORLD. I felt completely at ease applying for my apartment because the team at the Ekta World makes you feel at home, literally. The quality of build can be assured when it comes to Ekta World and what I was most impressed with was the inclusion of state-of-the-art technology into their apartments. What you are promised is what you get from the Ekta World. "Ekta World’s construction quality, prompt service response and flexibility are pleasant value-adds." 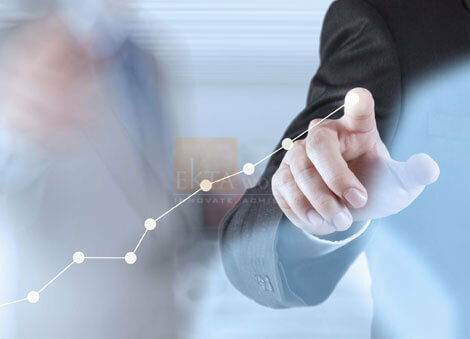 My relation with Ekta World began following an extensive research and positive feedback given by professionals and bankers. Their quality of construction, prompt service response and flexibility are pleasant value-adds. Vice-President – Sales & Customer Care Piaggio Vehicles Pvt Ltd.
"A top class project that caters to premium lifestyle expectations is the Ekta World." I am delighted to say that the finished product is a promise without any compromise whatsoever. Ekta World has always taken the concept of innovation to the next level in luxury living, which we have been enjoying by living at California for over a year now. My heartiest congratulations to Mr. Ashok Mohanani for his successful completion of 25 years in building homes and wish him all the very best for the times to come. 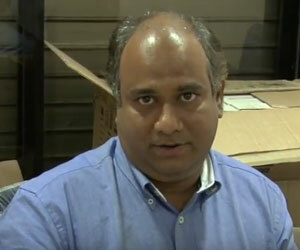 "We spoke to Ekta World residents and got a positive feedback about the builders." Before we decided to buy an apartment, my wife checked all the projects by the Ekta World. We are impressed by the designs. There are a few things you consider before buying a new home. The most important thing is that you should love the place you would be staying in. Secondly, it is the trust and professionalism. 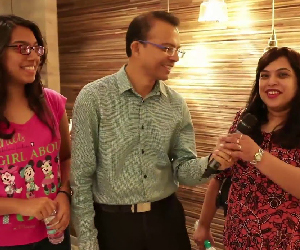 We spoke to a few of Ekta World residents and got a positive feedback about the builders. We had no problem with the legal documentation process. And most importantly, we got exactly what we were promised. 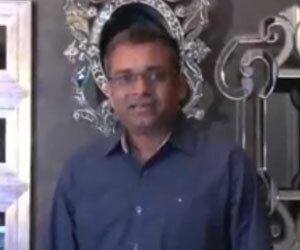 "I feel really privileged to live in one of Ekta World’s most beautiful homes." I consider myself lucky to have got such a beautiful apartment in Mumbai. Living here has been a wonderful experience. Ekta World has some lovely properties and I feel really privileged to live in one of their most beautiful homes. 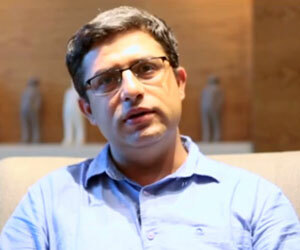 "With Ekta World, I got a spacious home right at the heart of the city." Enchante from Ekta World is located at Khar, from where it is easy for me and my family to commute to any part of the city. Moreover, it is close to famous shopping malls and restaurants that cater to all our needs. 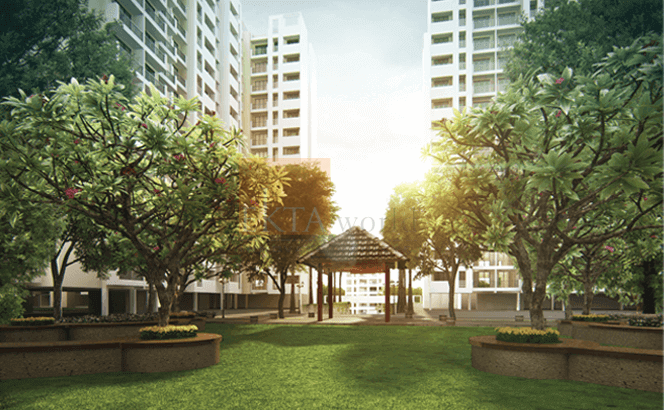 With Enchante, I got a spacious home right at the heart of the city. "Ekta World’s commitment to quality and customer delight has been unmatched." 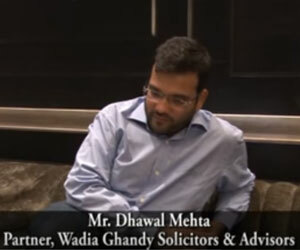 I have been immensely pleased with the professionalism and transparency with which Ekta World conducts business. Their commitment to quality and customer delight has been unmatched and most importantly, it’s rewarding to see that their delivery exactly matches their commitments. Congratulations to EKTA WORLD on their successful completion of 25 years. Thank you EKTA World for meticulously planning my dream home. I first came across EKTA WORLD when I casually went along with a friend who had booked a flat at Lake Homes, Powai about 3 ½ years back. What had struck me most about the complex was the overall planning and superlative ambience, the quality and finesse of the constructed buildings and the host of luxury amenities. Since then I was eagerly awaiting another similar project launched by the EKTA World and found my opportunity at EKTA Parksville. Thank you EKTA World for meticulously planning my dream home and congratulations to everyone at EKTA World on your Silver Jubliee.